Fatal error: Call to undefined function Drupal\trails\drupal_get_title. Okay. So this is probably another instance where we are trying to access a function that no longer exists. This is probably a good candidate for a change record so I'm going to copy the name of the function. I'm going to go back to the change records and I'm going to do a search in the Keywords for drupal_get_title. Okay, "drupal_set_title and drupal_get_title were removed.
" So I'm opening up that change record. So on this page, at the very top, it's talking about drupal_set_title which we are not really interested in right now. We can come back to it later if we need to. Let's scroll down until we get to drupal_get_title. Okay. That's right here. So in Drupal 7, we had a convenient drupal_get_title. 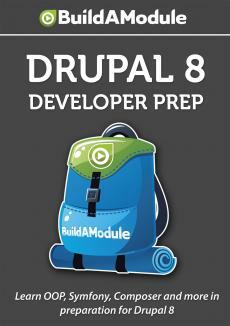 In Drupal 8, things get a bit more complicated. This is no way we get a title. It looks like a ridiculous amount of code but it's getting the title the right way and in a sustainable way. My guess is that people will create kind of a utility method to do this without having to write out all of this Boilerplate code every single time. But this is the code that we need to grab the title.